Attain new and improved capabilities that include precise process control over paint finishing throughput, consistency and premium painting quality. Let RTA share our robotics painting expertise with you and help you attain new and improved capabilities that include precise process control over paint finishing throughput , consistency and premium painting quality. This area of robotic technology requires not only precise control of the robotic motion, but also the fine and exacting application of paint. This is realised through the use of specialist painting robotics equipment and associated technologies that include: an explosion-proof robot arm, spray applicator/bell, gear pumps, colour change manifolds, solenoid valves, transducers and pressure regulators. Our team of technicians have extensive experience in the process and can offer support to this complex application. 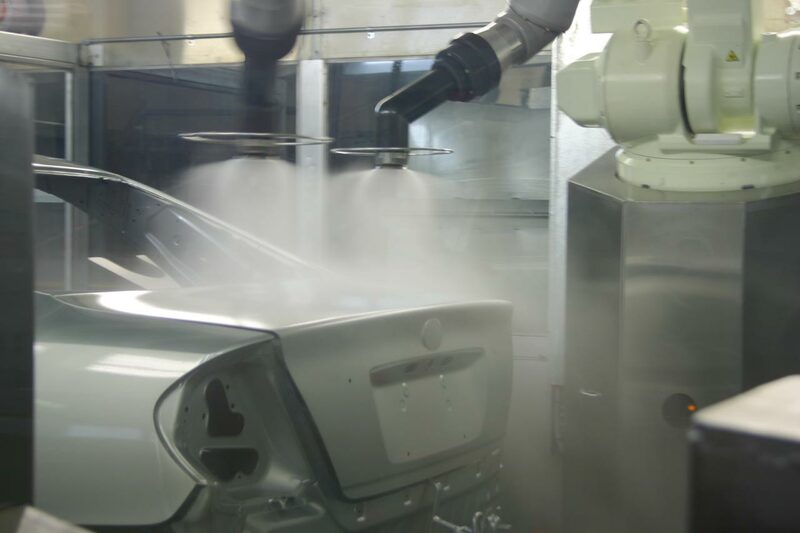 Our most outstanding painting application project was for Toyota Motor Corporation Australia, where we installed and commissioned 52 robots across multiple installations for the painting of car bodies and plastic bumper bars. These painting robotics systems, which included a patented cartridge system for base colour coats, were not only environmentally friendly but also and extremely efficient. 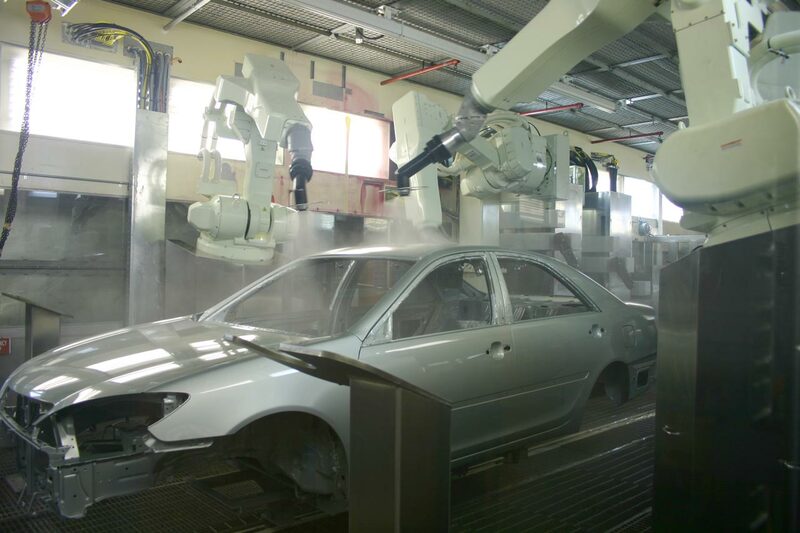 Our robotic painting technology enabled Toyota Australia to streamline the painting process and improve quality. We continued to support Toyota Australia on a 24/7 basis up to the automotive manufacturing plants closure in 2018.